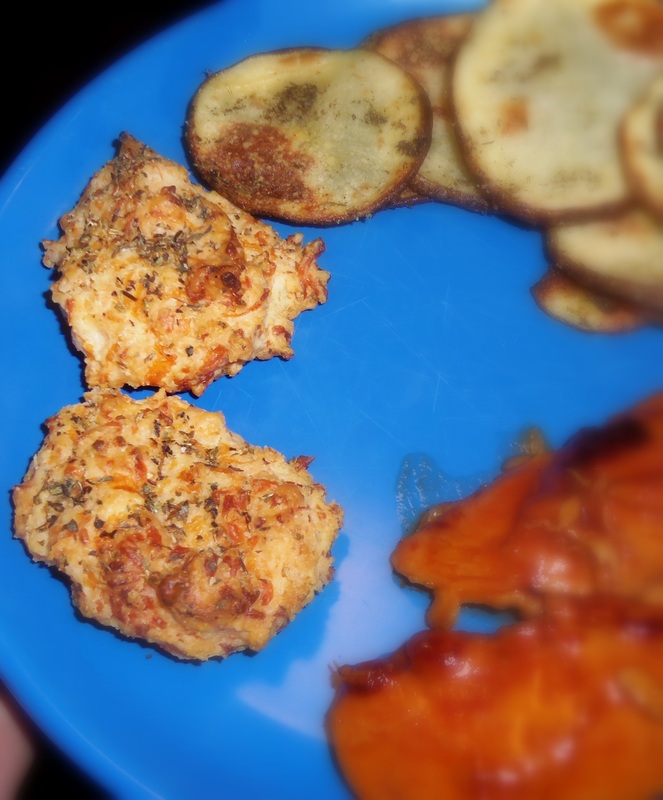 Cheddar Biscuits (Just like Red Lobster’s) | Mommy, I'm Hungy!! I made these Cheddar Biscuits to go with the Crockpot BBQ Chicken and Easy Oven Roasted Potatoes tonight and they were a huge hit! I found them too on Pinterest, which is my current addiction. It’s just so easy to see a recipe, project, craft, style, idea or whatever and just pin it to your board. Seriously, addictive! Anyway, these Cheddar Biscuits are awesome! They taste just like Red Lobster’s Cheddar Bay Biscuits. Seriously…they do! 1. Preheat oven to 400F. Spray cooking sheet with non-stick spray. 2. Put biscuit mix, cheese and milk in a bowl and mix well to form a sticky dough. 3. Using spoon, drop lumps of dough onto cookie sheets 1.5in apart. Bake for 10min. 4. In a bowl, melt butter and mix with oregano and garlic salt. 5. When the timer goes off, take them out and brush with butter mixture and bake 5min at 400F and another 5-6min at 350F.